Okay, so my tank has been progressing, although I ran into a snag - the angels were not getting along. One poor fish in particular was really in rough shape. So I decided to take them back for credit towards a Jack Dempsey. They had these pretty little Jacks in a few months ago that I was interested in but by the time I decided to get one they had sold out. They got some more in recently so I did the exchange. I also picked up another Java Fern. The one side of my tank is looking good. 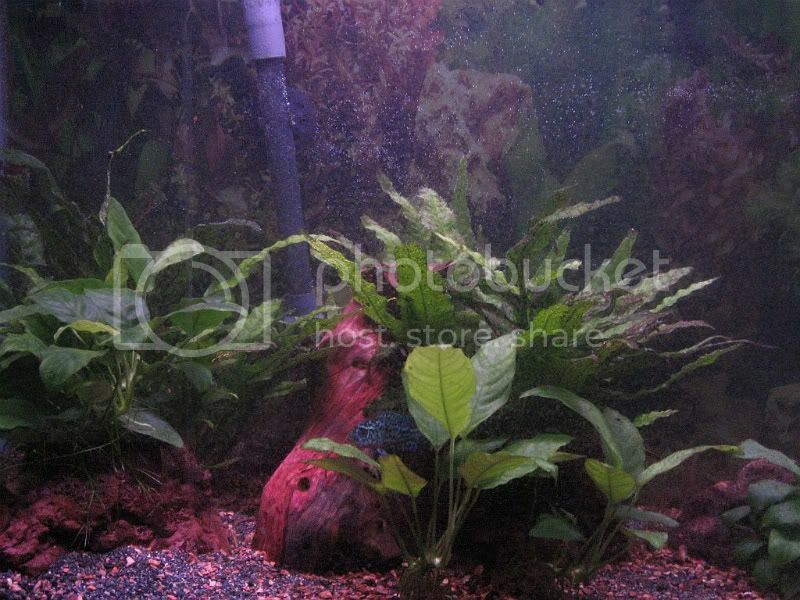 Lots of natural looking plant growth from the anubias and the java ferns. You can see my new Jack peeking out, but he was freshly added so he was acting pretty shy. And the full tank. The right side of the tank got the new Java Fern. Hopefully after a few months it'll look fairly naturally grown too. The waters a bit cloudy because I was doing some work in the tank. The glass needs a cleaning, the algae growth is outpacing my pleco's ability to eat it but I don't have anything to clean it with atm. Once I get it looking all pretty again, I'll post new photos. Nice looking aquarium. Your Anubias and Java Ferns are growing really well. What is your lighting setup? I can't remember off hand exactly what they are, but the canopy is the one that came with the aquarium, so it's two bulbs side by side over a 48" wide aquarium. 20" or 22" I think, 18 watt. Hagen if I remember correctly, chosen for the light spectrum specifically for plant growth. Nothing special, but the plants do well with them. 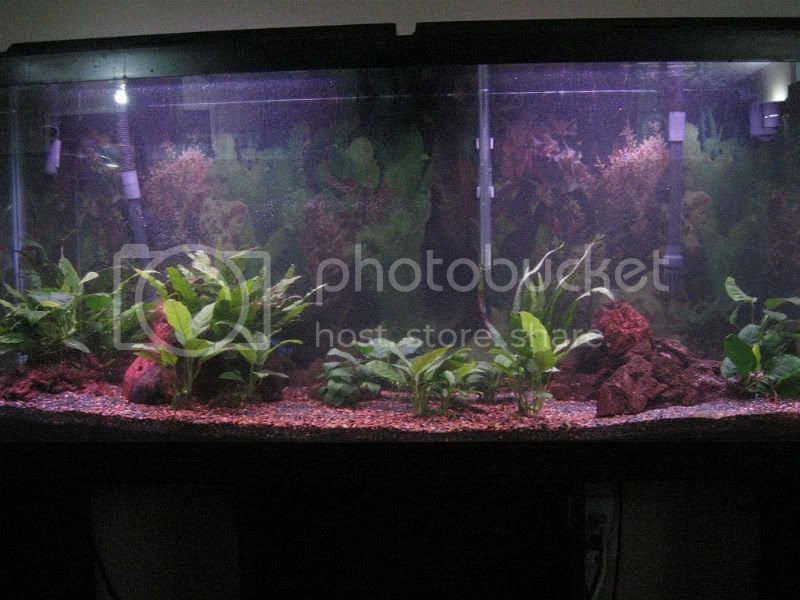 Welp, I was offered a really good job in Canada's frozen north (Yellowknife, near the Arctic circle) and it was too expensive to bring the aquarium, so the 55 gallon is gone for good. I brought the 5 gallon up and will put another betta in it once I move into my new apartment, but I doubt I'll have a larger aquarium until I move back down south (At least two years, but likely much longer). So I guess this is the official close of this thread. Thanks everyone for your feedback and advice!